g to those questions once answered, are forgotten; having gathered enough knowledge, one enters adulthood only to be confronted by more questions, which, no longer answerable, form the context of one's being. What can we do but persist questioning privately, or, for those among us insisting on the appropriateness of adulthood, to go on living as though we have all the answers?" The idea of questioning, ever questioning, becomes central to Yiyun Li's slow-burning but still captivating novel; as Ruyu befriends Boyang and Moran, two other youths in her quadrangle, she also finds herself at odds with Shaoai, the older daughter of her new guardians, now expelled from school and refused a work assignment because of her involvement in the protests at Tiananmen Square. Combined, the foursome poses the question of how history impacts us each as individuals; while Moran and Boyang know little to nothing of the events of Tiananmen Square beyond their consequences for Shaoai, Ruyu believes that the protests have nothing to do with her, and Shaoai must pay the now life-long price for her daring to speak out against an all-powerful government. And when Shaoai is poisoned, the tentative bonds of friendship and first loves between the trio crumble and fall away, leaving a world of loneliness and secrecy in their wake. 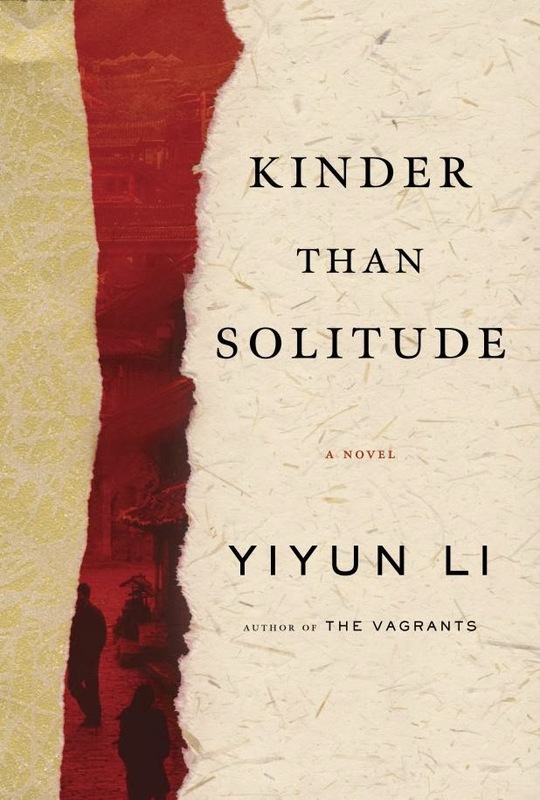 Kinder Than Solitude bounces back and forth between the past, in which the children Ruyu, Boyang and Moran clack against one another in the pursuit of adulthood like balls on a pool table; and the present, in which the three refrain from all contact with each other, and even with the greater world. With great skill, Li explores the ways that secrets and our inner lives--those questions we persist on asking privately, and those we insist on asking the world around us--drive us apart, further into ourselves and away from others. As an adult, Boyang yearns for "someone to understand that a moment, even a trivial one, could in time accumulate weight and meaning." Moran, watching her ex-husband suffer the side effects of chemotherapy, wonders if there is a "line in everyone's life that, once crossed, imparts a certain truth that one has not been able to see before, transforming solitude from a choice into the only possible state of existence." The great mystery of Shaoai's poisoning feels hurried and incomplete at times and out of place at others. Ultimately, however, it is the defining moment of the trio's lives, the culmination of a series of trivial decisions that could have led to nothing but this terrible death. While it is not always easy to grasp the mystery itself--or perhaps why it should be important to readers--it is what gives us the adult versions of Boyang, Moran and Ruyu, all equally lonely in their decisions, all equally removed from the world by their unanswered questions. "Loneliness comes with secrets;" Li writes, "secrets in turn become the badge of honor for loneliness." What could more represent such a sentiment than the solitary figures of Boyang, Moran, and Ruyu, all of whom have failed at love and friendship, barricaded in with their secrets by a pretense of their own design?